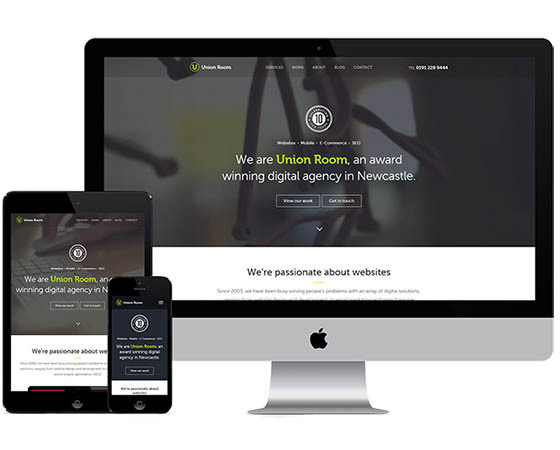 We haven’t just been working on fantastic new websites for our clients, there’s also been plenty going on producing our own new responsive, design-focused, technology-rich website. You’re on it! 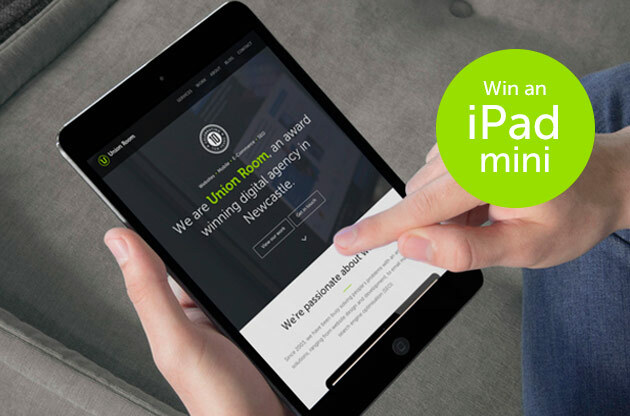 Now that it’s live, we’d love some constructive feedback and suggestions from you and in return we’re giving away an iPad mini to one lucky critic! Please drop us an email to info@unionroom.com with your thoughts. We’ll be holding a prize draw and announcing the winner via our social media accounts, so make sure you follow us to see if you are a winner. We’re very proud of the new website and urge you to explore while you’re here, have a play around and hopefully enjoy the experience. You’ll notice this website is fully responsive (scale your browser window or view it on your tablet/mobile to watch it adapt and scale) and features some of the latest technologies we work with. We have also included video content and updated our client portfolio to bring you news and case-studies for our latest work. If you like what you see, please let us know – we’d love your feedback. If there’s something that catches your eye, or prompts you to think about updating your own site, then please don’t hesitate to get in touch. Always happy to catch up and provide advice and help for your business. If you are interested in keeping up to date with what we are up to, you can follow us on Facebook, Google+ and Twitter.